Rated 5 out of 5 by ThSilkie from good all rounder Boiught this on offer, but would have happily paid full price after trial run. Could be considered too easy for the die hard HOS/ adventure player with the VERY helpful hint system but would be an excellant introduction for a new comer to this genre. Found the minigames fun and doable, i'll be the 1st to admit skipping some games in other titles out of sheer frustration lol. Loved the whole package. Rated 5 out of 5 by hodgepodgespv from find vs mini i really enjoyed this game. the find part was challenging but those mini games were really hard! this is not to say the find challenges were easy! some things were REALLy well hidden! on the objects i could not find and had to get a hint on were well done...sort of the slap yourself on the the forehead for not seeing it! deeply challenging and deeply full of fun! Rated 5 out of 5 by Rebr2009 from Outstanding Investigation Game Excellent Game! Really Hooked Me - Very interesting story, well developed - Excellent graphics - Great background sound - HOS not very challenging but with good visual quality (colorful, very good definition) - Immersive environment - Suspenseful Atmosphere (I really got a fright in one scene into the crypt!) Immediately after finishing the free trial, I bought it! Rated 5 out of 5 by bananahead28 from Very addicting Very addicting and challenging. I love playing it. Has a great story. Rated 5 out of 5 by sandebeach from For Lovers of Lengthy Hidden Object Adventure Games PLUS SIDE: Pleasantly surprised by this game, it was lengthy, fun, had LOTS of Hidden Object scenes, and the story kept my attention to the very end. I am now awaiting a sequel! You play as a FBI agent. With your partner, you are assigned to investigate a government-funded scientist who may have gone astray with his paranormal experiments, and may also be involved with your sister's disappearance. The story has some twists and turns at the start that surprised me. 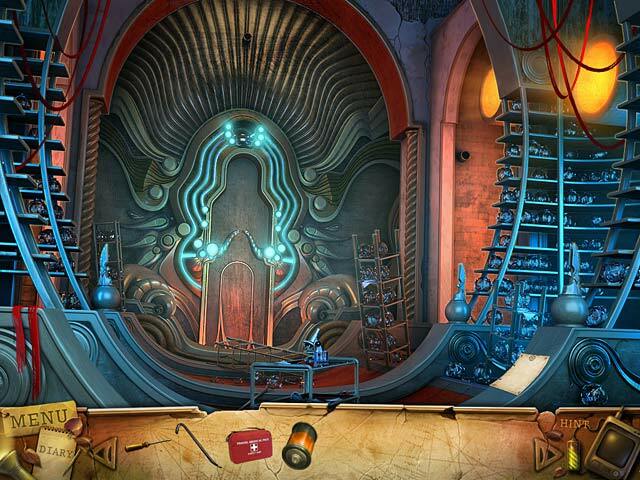 The graphics are very well drawn, and the Hidden Object scenes were plentiful. The Hint Button can be used like a Strategy Guide and helped me out when I was stuck. There is a bit of back-and-forth trekking to do within the chapters, but the use of the elevator and the metro train made the trekking more fum for me. MINUS SIDE: Some of the Hidden Object scenes are very cluttered. However, with patience, you can find all of the items. There were some puzzles, but they were not hard to figure out. The game does involve supernatural elements, as implied by the game title, so players who do not like occult themes may not like this game. Rated 5 out of 5 by subo2 from A Must Get! Extremely fun and challenging game! We really enjoy games that require shifting back and forth between scenes to complete objectives. HO Scenes are great! Very challenging! Also a good story line! Rated 5 out of 5 by pcpat923 from Purchased Immediately. HOG Lovers Enjoy This One! Purchased immediately after playing the trial version. Hidden objects placed in well lit scenes with an interesting story line. Detective approached by the FBI to assist them in a situation which will ultimately locate the Detective's sister who had gone missing! Can choose Easy or Normal Mode. Simply a great HOG game to play, relax and enjoy without time constraints. 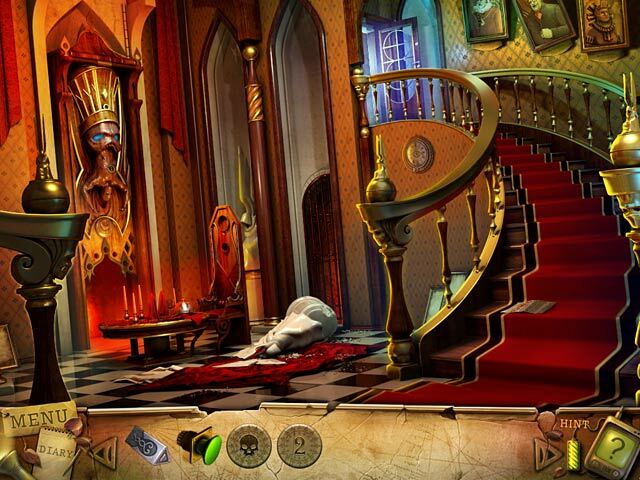 Rated 5 out of 5 by teressadonbavand from Enjoyed this Hidden Object Game. This was a great game to play. I really enjoyed it. The art work is good and the game play was excellent, with a good background story if you like that sort of thing. Rated 4 out of 5 by Eveoflove from A typical HOPA from that era (2011) Review based on completed game in "casual" mode using Windows 10. It took me about 4 and a half hours to complete the game. I liked the fact that there were a lot of HO scenes; many of them are repeated twice over time but you're looking for different things. I found the objects well drawn but you have to look carefully at the scene. The mini games are relevant, somewhat original, typically straightforward and fun (not tedious or overly simplistic). This is not a Collector's Edition, so there are NO extras (collectibles, morphing objects, strategy guide, etc.) No map either, but none is needed and there isn't too much back and forth compared to some other games. The storyline is interesting, not overly complicated, but needs to be read: there are no voice-overs, which I typically like because you can read at your own pace and can't criticize the often awful voices. The transition/cut scenes are drawn and NOT truly animated, showing the game's age. I suggest you download the trial to get a sense of the graphics; I thought they were adequate but not spectacular. Rated 4 out of 5 by grunny50 from Really Good Game I would have given this game higher marks if not for some of the muddy HOS's. I enjoyed the game play and the movement of the story. A wee bit of the dialog was tedious, but overall not bad. My only complaint is some of the objects and their ridiculously difficult graphic display. Some of the scenes I just had to randomly click and hope I hit something, it was that bad. Mostly well done, though. Rated 4 out of 5 by rosekaufmann from SAVE THE GIRL, THE FBI GUY, AND THE WATER SUPPLY STORYLINE is about a mad scientist who is trying to mind control people by contaminating their water supply with coca serum , among other things. You must stop him as well as collect your sister from his grasp. Your FBI pal has succumbed to the serum, so you might as well save him too. GAMEPLAY: Nonlinear. The HO scenes that were large and relatively uncrowded were easy; those that were darker, more crowded and composed of old rusty-looking junk were more difficult. Puzzles were varied and easy to moderately difficult. Hints helpful and recharge rapidly. Start out with a few centralized locations, expanding into quite a few. An interactive map would have been helpful after more locations were added. OTHER STUFF: 2 modes: casual and hard. Diary. Widescreen available. It has a satisfactory, but a most WEIRD ENDING. Rated 4 out of 5 by 1elephant from Finally I get tired of these storys and little challenges, I skip thru the stories and challenges in all the HOGs. I play HOGs for the hidden objects thus the name. Skipping all over the place and back tracking is a pain, really good game for anyone who actually plays HOGs for the express purpose of finding hidden objects. Rated 4 out of 5 by centauri272 from Nice game, but a bit short The storyline is interesting. There are 2 game modes. The graphics are good, not overwhelming. Some of the objects in the HOS are hard to find. The puzzles are quite easy but interesting. There is no map and a lot of to and fro. I didn't skip anything and it took me 2 1/2 hours, so a bit short for what it offers. Rated 4 out of 5 by exinferisasha from Should have been titled BLUE ritual. A good solid occult orientated investigative HOG game. PLUS:- Great visual and audio; simple but fun storyline that moved the game along; nice puzzles; plenty of HO scenes; a good length game. MINUS:-no map; felt a little rushed in places particuarly towards the end and ending was quite abrupt..........although it left it open for a sequel; no extras or mini games :0( CONC:-A good entry into the occult section of HOG. Nothing too taxing and will appeal to beginners, intermediates and even experts. 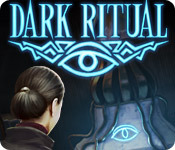 Rated 4 out of 5 by sueandjack from Dark Ritual-Bright Fun I really liked this game. The HO were fun-some hard some easy. The puzzles were great-you had to think. This is a "Best Buy" in my opinion! Rated 4 out of 5 by eponym from Good - worth the purchase Lots of HOS - without too much backtracking. I think the ending was very abrupt. I had what I needed so the Dr. never got a chance to say much. Rated 4 out of 5 by einiespal from Good game This isn't one of the best games, but it is well done and enjoyable to play. The HOS are good with objects that are not overly difficult to find, unlike some games. The hint sytem works well, so you don't get stuck. The story was OK, and artwork was good. Rated 3 out of 5 by pennmom36 from Dark Ritual Your sister has been missing for months with no leads until FBI agent Johnson informs you that the FBI is investigating Dr. Seymour Brown as the prime suspect in the disappearance of your sister. Agent Johnson believes that your sister is being used in a governmental weaponization project, mind control, even worse, an ancient Dark Ritual. When you arrive at the family mansion of Dr. Brown, everyone starts behaving erratically, including Agent Johnson whose eyes are glowing an iridescent blue as he mumbles that his master is calling him! I would have given this game a higher rating if I didn't have to scan the entire room until my cursor had a small gear, hand or magnifying glass within the same cursor. The cursor itself doesn't change, just the icon at the bottom of the cursor, because there isn't enough of a change in the cursor, many things get overlooked the first time around. The graphics aren't bad, but there are no voiceovers, just dialog boxes to read, and the different characters just suddenly appear then either suddenly disappear or move stiffly back and forth as if someone is flipping through cartoon cell pages as quickly as possible to give the appearance of movement. There are a lot of Hidden Object Scenes in this game, they are slightly interactive list finds such as picking up a knife and using the knife on a pumpkin to make a Jack-O-Lantern. Some of the items were very well hidden and I had to use the hint button on more than one occasion. I actually liked most of the mini games, most were simple puzzles such as turning valves until all three tubes had equal amounts of fluid. The mini game I enjoyed the most was sliding different shaped puzzle pieces on an H grid with an extra space below the horizontal bar of the H, until the correct pieces were in the correct positions allowing the lock pieces to come together around the puzzle pieces. There aren't any extras, no collectibles, no frills, there isn't even a map available, and the hint system will only tell you there's nothing to do here. It isn't a bad game, and can be quite entertaining especially if you like a lot of HOS and some interesting mini games, enjoy! Rated 3 out of 5 by neilskinut from Play it if you only love HOG This is a old game from Vogat, which is a good developer. But now days it will not keep up with the new really good games. There were no voiceovers but the music was good. The graphics were clear although the artwork seemed pretty average. There were 2 modes of play. I found the cursor clums. You get a diary but it doesn’t give any help. There are lots of locations in the game & quite a lot of going backward & forward but not so much that it became tedious. The hidden object scenes were mainly junk piles although some of the items were well hidden & the mini puzzles were pretty easy. There were a lot of H0s & puzzles. It is a good long game to play, took me around 5 hours so worthwhile getting for this reason but for myself I got rather bored by the time it was over. Rated 3 out of 5 by sothimk from Only If You Like HOGs Most games that bill themselves as HOG / Adventure / Puzzle usually have a good mix of all three. This game definitely favors the HOSs. I found the HOSs more challenging than usual. That being said, I thought that this game had more unfair objects than most. By unfair object I mean the kind of object that you could stare at for days and not recognize it. Sometimes it was the graphics, sometimes poor translation into American English and sometimes it was that the object was too close in color to the background. Although they got less emphasis than the HOSs, the adventure and puzzle aspects of the game were not bad. I don't usually give much weight to storyline since most of them are the same. (Something evil wants to take over the city / the kingdom / the universe). Same with voiceovers. ("You'll never stop me hero / heroine. Mwa-ha-ha-ha.") Granted, this game didn't have voiceovers, but the text in the cut scenes had the same effect. In those respects this game was very average. However, I hated the soundtrack, particularly the part that was clanging all the time. Very annoying. Rated 3 out of 5 by JustTheFacts from HOs All The Way GAME COMPLETED SEVERAL TIMES How time changes us. This game used to be one of my favourites, but replaying it now, it feels dated and HO heavy. The story is the usual save the family member from the crazy scientist stuff, with a couple of amusing twists. I have no problem with that, it’s a good story that covers plenty of variation. The graphics and the game play are the problem. First of all, the graphics aren’t bad. They’re a little rough around the edges, literally, and occasionally that’s bad enough to make a HO invisible. The game's fairly low definition stuff, and there’s no attempt at anything that could be called ‘art’. Then there’s the design of the HOs themselves. No effort has been made to give the appearance of relevance to the scenes, or drama or colour. Result: somewhat grungy overly cluttered junk piles with medieval weapons and NASA photos in the same cupboard. The gameplay was very straightforward. 90% of it was HOs. That’s okay for some, and used to be for me, but for experienced gamers it’s not good news at all. There are dozens of them and each is visited twice. They are slightly interactive. Barely remember the mini-games, even I found them easy. One thing I really loved though was the music. Very ominous and science fiction, and only around some of the time so you don't get sick of it. Do I recommend this game? For the HO fans, certainly. For someone dipping their toes into the HOPA, yes. To anyone else, no, this game is B Grade at best. Rated 3 out of 5 by scarreddarling from Meh The HO's are fairly straightforward and back to back. There's a decent amount of back and forth which I hate. And the puzzles are not very challenging. Rated 3 out of 5 by gingergal from worth a look if you love hidden object scenes for a daily deal If you like a lot of hidden object scenes, quite a lot of them are junk pile and wandering back and forth a fair bit - then this is worth a try. I bought this as a DD, and it passed the time nicely. I am surprised that this is only a year old as this game by VOGAT plays like a much older game. The plot line is the mad scientist gone awry and your sister has disappeared and you along with a FBI agent look for her. It's standard fare but I found that part enjoyable enough. 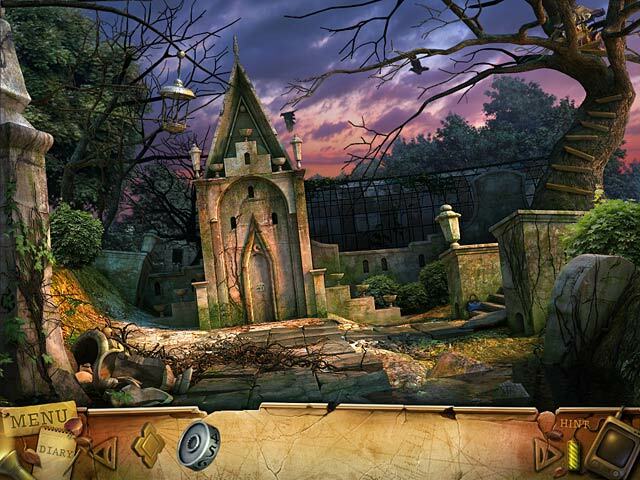 The hidden object scenes, are many and you do repeat them sometimes, especially near the end nearly immediately afterwards. There is 2 choice of settings and both give you sparkles and the 2nd level I played on also had the random click penalty in the hidden object scenes which I dislike. The puzzles were about medium difficulty and scattered throughout the game and although nothing great, at least kept me playing it along with the graphics. I liked some of the scenes (not hidden object) and the airport I thought was a bit different from the usual. Length was about 4-5hrs, which was fine as I was getting bored and wanted it to end. I don't like all those straight junk pile scenes so wouldn't recommend it, but if you do take a look or if you can get it as a DD. I'm rounding it up to 3 stars as I got it as a DD so felt for that, it was worth it. Rated 3 out of 5 by wiccan73stars from It's all OK for me! The storyline truely lacked in keeping me interested, it all seemed to familiar to other games. The graphics were mediocre at best, no VOs all reading and it goes so slow you dont know whether its done or not. The puzzles pose no challenge they are so easy. I guess I am glad I got it on sale! It was however a decent game for a quick break between my more challenging games and so I still recommend the game! Rated 3 out of 5 by Amijane from Lots of reading!! This is really a four star game if you consider plot, puzzles, HoS and graphics. It's thrilling and not too scary. The problem is it's way too much reading and although voice overs in the cut scenes, books, notes and articles you find are not read aloud. Neither talking to characters you meet. And boy, do they talk sometimes! I played this with my husband, who is a slow reader while I'm a speed reader so we ended up me just giving him a briefing of the most important details in like for example four (4!!!) pages in a book. I still recommend this game but you shouldn't buy it if you don't like to reading because if you skip that you will miss the plot and important clues. Rated 3 out of 5 by DrDavid from Middling and rather boring Dark Ritual is a very mediocre HOG. Many of the HOS are very good but just as many are dark with virtually invisible items. The good news here is that random clicking is not punished and therefore does work well on the impossible to find items. The artwork is well below average in many of the HOS so the authors simply made everything very dark in those HOS. That contributes to the overall feeling of mediocrity. The game is long and very often boring. I found it easy to leave it after an hour or less and come back another day. Working only until bored, it took me 5 days to finish the entire game. The puzzles were fairly simple and I worked out most of them. The bright spot in this HOG is that the puzzles all come with instructions; you actually are told what the objective is, rather than blindly try to figure out what you are doing. That made the puzzles much better than several of the HOS. I skipped one long puzzle that seemed pointless, and accidentally hit skip rather than the objective on another. I wish every HOG puzzle clearly defined the objective up front. The cut scenes were stills rather than animations, so you had to click through them. The sounds and music were annoying, so I turned off the sound completely. If there were voices, I didn’t know it. This isn’t a bad game at all, just long and boring.